The Golden Buddha case. Largest judgement ever obtained $43.5 billion. Uncontrollable Bleeding And Death Linked To Blood Thinner Xarelto. Breast Cancer Patients Suffer Permanent Hair Loss After Taking Taxotere. Fair Labor Standards Act requires employers to pay “non-exempt” employees OT. 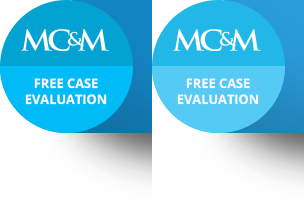 For over sixty years, the attorneys at Magaña, Cathcart & McCarthy have been advocating the rights of victims and have developed an international reputation for achieving results for our clients. Trust, Knowledge, Experience and Results are the foundation of Magaña, Cathcart & McCarthy, located in Los Angeles, California. The firm specializes in all areas of personal injury law, including auto accidents, airplane accidents, products liability, industrial accidents and medical malpractice. The firm is distinguished by its unsurpassed expertise in the areas of aviation litigation and products liability litigation, including defective medical devices and pharmaceutical products liability.